Can you say that and live it? Repeat it. Jesus Christ is my King. JESUS CHRIST IS MY KING! I have been pondering a lot lately, all through history, asking of God, by souls, for a King in this world, to lead to victory. To “deliver” them from the torment in their lives. Today we see this in the political arena along with the religious arena. Back this political leader over this one! Back this religious leader over this one! This Holy Father over that Holy Father. This Bishop over That Bishop! In politics, you will never have peace. If you bring politics into the Faith, you will never have peace. When you constantly believe that this one, RIGHT HERE, will lead you to the promised land, you will get nothing but lost in the “desert”. Moses already did his job. Yeah, it starts off all sweet and wonderful appointing your own king in this world, but by the time you realize he is not THE King, nor is he Moses, its time to replace him with another and your exactly in the same place you started off. Jesus Christ is KING! With politics, if God is not the head, if God is not the basis of the moral position of the candidate its a dead deal. End of story. Beginning of story for any God fearing soul to place their faith back into our Lord where it belongs. Jesus Christ Is My King! In the Church, when we follow this one over that one, or this thinking and this group over this one, we do exactly as St. Paul said not to. Love them ALL. Love God above them all. We must always take into account that THIS ONE, is a Priest of our Lord. THAT ONE, is a Priest of our Lord. Our LORD is King. He appoints. He places. He is doing the work. He is head of the Church. If you have an issue with one of our Lord appointments, take it up with Him. Ask Him in prayer. If our Lord appoints one who is not considered “good” we must take into account that He also appointed Judas Iscariot, which lead to? Everything that comes to us, is from our Lord.By way of allowing it, or sending it. There is good reason in everything as His judgement is right and just for all that comes to us. Good and bad. This is what happens when society continues to vote for the lesser of two evils. 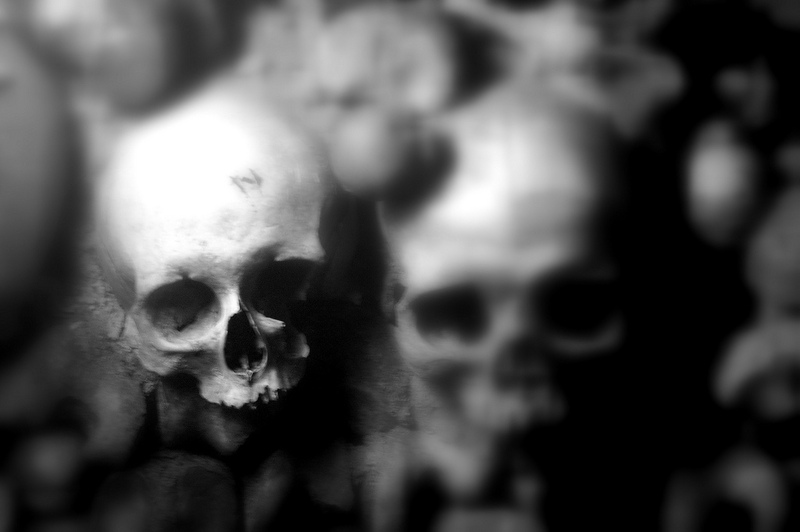 In the beginning, the “evil” doesn’t “seem” so bad, (It doesn’t affect me) but over time, it grows into something so large, it tramples everything good in its path that stands in the way of it ruling every life that it has been growing in. Abortion: Made legal in 1973 in the USA, but laws protecting the faithful from government paying for them was enacted. (Band Aid) Society KNEW it was wrong but did it anyway. This is the war between the Culture of Life and the Culture of Death. Truth verses lies. It’s very obvious to see the destructive path this man, Obama, (Although it could be anyone who subscribes to this way of thinking) and the Culture of Death are leading our nation into, from the same destructive path she has been on for many years. It’s just now, under his control, the evil has become big enough to see without a microscope. Secularism is the cancerous “tumor” in society and it is always life threatening. The culture of death starts like a single cell of cancer, that without “cutting it out” but rather placing a band-aid over it, enters the lymphatic system of society and metastasize into many areas, until it makes us all physically sick. Leading only to death. We know, over time, the Band-Aid always falls off. The cure can only be found in the Truth. God help us. This post is not just about abortion, but ALL the aspects of the Culture of Death. We, the Catholic Church, the faithful who believe, ARE the cure! Alone against society, the cure has been non responsive, collected together, the monster of the culture of death in which we live can and WILL be defeated. Like radiation attacking a tumor, we need to work together. Beginning in each and every home. Radiating out into the society in which we live. “Let nothing disturb you” does not mean don’t act on anything. It means act on what our Lord is telling you to act on, in the face of every condemnation that may come as He is with you. When a soul reaches out to you, reach back out to them. Don’t feel a need to stay in your comfort zone to protect YOUR faith but reach out to those in need to BRING them the consolation our Lord has given to you, least you become to “rich” to move in any direction, including closer to Him for the benefit of the entire Church and all society at death’s door, giving all the glory to God. I picked up a book a few months ago, but in packing it up, and unpacking, rediscovered it and read it at Adoration this morning. I was covered in goosebumps! For Christ is my King and there is no other! The book: The reign of Christ the King. Below, is what I have ascribed to for some time, without knowledge of this book and it was written about in 1992. On 11 December 1925, Pope Pius XI promulgated his encyclical letter Quas primas, on the Kingship of Christ. The encyclical dealt with what the Pope described correctly as “the chief cause of the difficulties under which mankind was laboring.” He explained that the manifold evils in the world are due to the fact that the majority of men have thrust Jesus Christ and His holy law out of their lives; that Our Lord and His holy law have no place either in private life or in politics; and, as long as individuals and states refuse to submit to the rule of our Saviour, there will be no hope of lasting peace among nations. Men must look for the peace of Christ in the Kingdom of Christ—Pax Christi in Regno Christi. 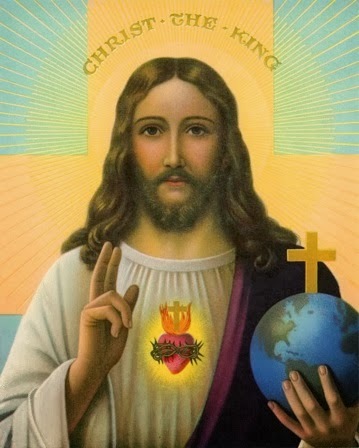 The empire of Christ the King includes not only Catholic nations, not only baptized persons who, though of right belonging to the Church, have been led led astray by error, or have been cut off from her by schism, but also all those who are outside the Christian faith; so that truly the whole of mankind is subject to the power of Jesus Christ. All men, both as individuals and as nations, are subject to the rule of Our Lord Jesus Christ the King, and this for two reasons. Firstly, because, as God, He is our Creator. We are His creatures. Without Him we could not exist. We owe Him everything, and He owes us nothing. Those who are created have an absolute obligation to love and serve their Creator, This obligation is unqualified; there are no “ifs,” no “buts,” and, as we shall see, no question of any possible right on the part of any man at any time to withhold his obedience. It is only when men live their lives within the correct perspective of the Creator-creature relationship that social and political harmony and order prevail. “the peace of Christ is the Kingdom of Christ.” When men repudiate this relationship, disharmony and disorder take over, the disharmony and disorder of sin, the disharmony and disorder introduced for the first time into the whole creation when the Archangel Lucifer. the most magnificent of all God’s creatures, was overcome with pride and boasted: Non serviam — “I will not serve.” The Catechism teaches us that our purpose in life is to know, love, and serve God in this world so that we can be happy with Him forever in the next. We cannot claim to love God if we do not serve Him, and we cannot claim to serve God if we do not subject ourselves to the law of Christ the King. 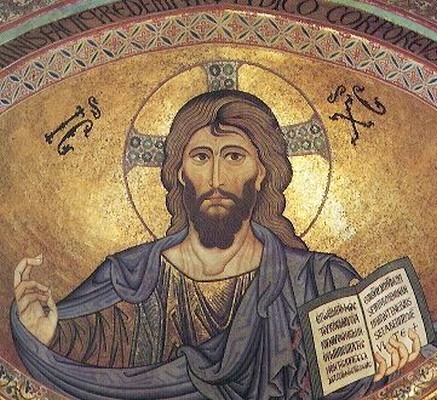 The double claim of Our Lord Jesus Christ to our allegiance, as our Creator and our Redeemer, is well summarized in the Book of the Apocalypse, where St. John tells us that Christ is “the ruler of the kings of the earth.” (Apoc. 17: 18). The fact that the kings of the earth —– in other words, the nations and those who rule them —– are subject to the Kingship of Christ pertains to what is known as His Social Kingship, that is, His right to rule over societies as well as individuals. Nevertheless, we must admit that this claim of the secular state is profoundly wrong. The only word adequate to describe the claim by a Catholic politician that he will not allow his private beliefs to impinge upon his public duties is blasphemy —– or at least open rebellion against God. For the Commandments of God are binding in public as well as in private, and it is blasphemous for a Christian to maintain the contrary. The Commandment “Thou shalt not kill” precludes the taking of innocent human life. We can take another human life only as an act of self-defense, to save our lives, those of our families or friends or our fellow citizens against an unjust aggressor; but never, never, never, does any human being have the right to take the life of an innocent person. Unborn infants certainly come into this category, a fact stated forcefully, courageously, and unambiguously by our Holy Father Pope John Paul II in his encyclical letter Centesimus Annus of 1 May 1991, commemorating the centenary of Pope Leo XIII’s encyclical Rerum Novarum. May God bless him for it. Who could be more innocent of aggressive intent than an unborn child within the womb of his mother? Who could be more clearly protected by God’s absolute prohibition against taking the life of the innocent than an unborn child within the womb of his mother? How well the term “revolutionaries” applies to these men! A revolution is best defined as the forcible overthrow of an established government, and this is precisely what they did. They overthrew the Social Kingship of Our Lord Jesus Christ in favor of what is rightly termed the heresy that authority resides in the will of the majority —– the heresy that is the source of all the evils in society today. The process began four centuries earlier, in 14th-century Italy, during what has become known as the “Renaissance.” The word is French and means “rebirth.” It refers to the rebirth of classical studies which began in Italy in the 14th Century. Those engaged in these studies were known as “humanists” because their studies were concerned with purely human topics, whereas in Europe, until that time, God had been the focus for almost every aspect of scholarship and art. Music, architecture, literature, painting, drama, philosophy, cosmology and, above all, theology —– the Queen of the Sciences —– were centered upon the Creator, and the Creator-creature relationship was axiomatic to every aspect of human thought. Initially, there was no conflict between Humanism and the Church. Many humanists were also ecclesiastics. But as time passed, it became clear that the movement was tending to relegate religion to a place where it had little or no influence on human thought or human behavior; This tendency was implicit rather than explicit. It gave rise to the attitude that whereas faith is valid in its own domain, reason should be concerned only with what is scientifically demonstrable. The Creator-creature relationship was not formally denied, but attention became focused almost exclusively on man, to the neglect of God, who was, effectively, confined to the sacristy. Man was seen as an autonomous being, the focus of truth in a world of which he was master and which he had the ability to subdue and perfect, a being capable of building an earthly paradise by his own efforts, a utopia. The extent to which these ideas were reflected in the principles of the French Revolution, and later in atheistic Communism, hardly needs pointing out. I have mentioned the extent to which the principles of Humanism reached their logical conclusion in the French Revolution and in Communism, but the Protestant Reformation cannot be exempted from this charge. Our Lord Jesus Christ founded a visible Church, His Mystical Body, to continue His mission in the world until He comes again in glory. This Church was endowed with a visible head, the Bishop of Rome, the Vicar of Jesus Christ. A vicar is a person who is authorized to perform a function on behalf of another, as his officially designated deputy. The Bishop of Rome has the authority to teach infallibly the true meaning of the Scriptures as intended by their Divine Author. The Protestant Reformers repudiated the authority of the Vicar of Christ, and hence the authority of Christ Himself. They claimed to accept the authority of the Scriptures, but the inevitable logic of Protestantism is that they accept the authority of Scripture as each individual Protestant interprets it. In other words, every Protestant makes his own reason his ultimate authority in religious matters. It has often been said that, in the final analysis, every Protestant is his own pope. We can go further still and state that in the final analysis Protestantism makes each Protestant into his own god. This is Humanism with a vengeance. Catholics did not, of course, remain free from these influences, and in 1907, in the fifth year of his pontificate, Pope St. Pius X felt obliged to promulgate his encyclical letter Pascendi Dominici Gregis, condemning the errors of that Protestantized version of Catholicism known as Modernism, the ultimate logic of which, explained the Pope, was atheism. The most deplorable example of man’s self-deification in our day is man’s arrogation to himself of God’s supreme and most fundamental authority, that is, His authority over life and death. “I,” says contemporary man, “shall decide for myself when a new human life shall begin and, once it has begun, whether it shall continue or be terminated. I shall use contraception to ensure that no new life is conceived without my consent, and, should a conception take place that I deem inconvenient, I shall terminate it by abortion.” The next step in this diabolical process will be the legalization of euthanasia. Although I have said that it would be a mistake to imagine that the dethronement of Christ the King was inaugurated by the promulgation of the French Revolution’s Declaration of the Rights of Man, there can be no doubt that this Declaration constituted the first formal repudiation of Our Lord’s Social Kingship, and that it was the most influential act in the process of securing His virtually universal dethronement during the next two centuries. Before examining the extent to which this Declaration constituted a repudiation of Catholic teaching on the authority of the State, it is necessary to have a clear grasp of the content of this teaching. The doctrine of the Popes on the authority of the State is clear and self-evident to those with a proper understanding of the Creator-creature relationship, which is fundamental to a well-ordered society. Every civilized community must have a ruling authority, and this authority, no less than society itself, has its source in nature, and has, consequently, God for its author. Hence it follows that all public power must proceed from God. FOR GOD ALONE IS THE TRUE AND SUPREME LORD OF THE WORLD. Everything without exception must be subject to Him, and must serve Him, so that whosoever holds the right to govern, holds it from one sole and single source, namely, God, the Sovereign Ruler of all. “There is no power but from God.” [Rom. 13:1]. In a society grounded upon such maxims, all government is nothing more nor less than the will of the people; and the people, being under the power of itself alone, is alone its own ruler . . .The authority of God is passed over in silence, just as if there were no God; or as if He cared nothing for human society; or as if men, in their individual capacity or bound together in social relations, owed nothing to God; or as if there could be a government of which the whole origin and power and authority did not reside in God Himself: Thus, as is evident, a state becomes nothing but a multitude, which is its own master and ruler. 1. T. Molnar, Christian Humanism [Chicago, 1978], p. 29. The principle that all authority comes from the peopIe is now all but universally accepted throughout the West. The basis of public morality is whatever the contemporary consensus of citizens is prepared to accept. It would be very hard to convince the average Catholic today that his country should not be governed by the will of the people or that our elected representatives are anything more than delegates of the people who voted them into power. This is precisely what we shall do now. Strictly speaking, God alone has rights which belong to Him of His very nature. As human beings we possess only contingent rights, rights which are accorded to us by God. We have a right to do only what is pleasing to God. This is synonymous with stating that we are free to do only what is pleasing to God, and the freedom referred to here is moral freedom, or moral liberty. Whenever the term “right” is used in this study, it must be taken to mean “moral freedom.” To state that a man has a right to perform an action means that he is morally free to do so, and he can never be morally free to perform any act that is displeasing to God. The fundamental meaning of the word “liberty” is the ability to act without constraint. There can be three forms of constraint: physical, psychological, and moral. Freedom from physical restraint simply means the absence of any external constraint which could pre- vent a person from carrying out a desired action. A football player who wished to take part in an important match, but who had broken his leg and was in hospital at the time of the game, would not be physically free, or able, to participate in the event. Psychological liberty is better known as free will and involves the capacity to make moral choices. It is thus restricted to angels and to men. Beings who possess free will, or psychological liberty, are the masters of their acts, and hence are responsible for them. Animals have physical but not psychological freedom. A pair of blackbirds necessarily selects the tree in which they will build their nest on the basis of which tree seems most useful; they cannot choose to sacrifice the better tree and select a poorer one. Nor do they possess the free will enabling them to decide whether or not to build a nest and raise a family, or even what type of nest to build. It should be clear that being physically able to perform an action, and being psychologically able to choose whether to perform it, do not mean that one has a right to perform it. There may be a moral constraint against performing the action. Two simple examples should make this clear. A bank clerk might find himself in a position to defraud his employers of a large sum of money with very little likelihood of being detected. He would be physically free to perform the action, that is, he would be able to remove the money without being detected. He would be psychologically free to perform it, that is, he would be able to use, or rather misuse, his free will to commit the theft. But he would not be morally free to steal the money, since theft is forbidden by the Commandments of God. In this case the law of God and the law of the State concur, and just as there is no moral right to steal, there is also no legal right to steal. But a legal right does not necessarily confer a moral right, as the following example will demonstrate. A woman may be physically, psychologically, and legally free to have an abortion, but the so-called legal right to murder her baby does not confer a true right, since murder is forbidden by the Commandments of God. At the risk of being repetitious, I will state once more that the teaching of the Church is that the terms “right” and “moral liberty” are synonymous. We can speak of a “right” only when its object is morally licit. The Popes, Pope Leo XIII in particular, taught time and time again that there can only be a true right —– that is, the moral liberty —– to choose that which is good and true. No human being can ever have a right to choose what is evil or false. The true liberty of human society does not consist in every man doing what he pleases, for this would simply end in turmoil and confusion, and bring on the overthrow of the State: but rather in this, that through the injunctions of the civil law all may more easily conform to the prescriptions of the ETERNAL LAW. The average citizen, and this is not hard to under stand, equates what is legally permissible with what is morally permissible. Let us take divorce as an example. In Great Britain the figure for divorce is around 30% and rising, and the reason that it is not rising far faster is due to the fact that such a high proportion of couples now live together without even the formality of a civil ceremony. In the U.S.A., I understand that the divorce rate is now in the region of 50% . If the law did not sanction divorce and remarriage, the number of those who would abandon their spouses to live in new unions that would be legally as well as morally illicit would be reduced to a very small fraction of this figure. The same can be said in the matter of abortions. If abortion had not been made legal, millions of women who have had abortions would not have done so, and, as is almost invariably the case, would have loved and cherished the babies they have murdered. The binding force of human laws is in this, that they are to be regarded as applications of the eternal law, as in the principle of all law . . . WHERE A LAW IS ENACTED CONTRARY TO REASON, OR TO THE ETERNAL LAW; OR TO SOME ORDINANCE OF GOD, OBEDIENCE IS UNLAWFUL, LEST WHILE OBEYING MAN WE BECOME DISOBEDIENT TO GOD. Can these words not be considered a charter for the Rescue Movement? We are forbidden to obey any law that is contrary to the eternal law of God, lest while obeying man, we become disobedient to God. This unequivocal papal teaching certainly has grave implications for any Catholic involved in the enforcement of the law. By what right can a Catholic policeman arrest those who try to rescue the unborn from abortion? By what right can a Catholic district attorney prosecute them? By what right can a Catholic judge convict them? Let such public officials not protest that they have sworn to uphold the law, because any human law contrary to the eternal law cannot be considered valid by any Catholic. But, alas, many, perhaps most, Catholics holding public office today are certainly not worthy of the glorious title of Catholic. I quoted Hilaire Belloc earlier as stating that when there is a conflict between civil law and the moral law of the Catholic Church, members of the Catholic Church will resist the civil law and obey the law of the Church. Belloc was somewhat naive in believing this since, alas, now that precisely such a conflict has arisen in the United States with the emergence of the Rescue Movement, the overwhelming majority of Catholics involved in enforcing an immoral civil law have preferred to uphold that law rather than endanger their livelihood. 2. Encyclical Letter Adeo nota, 23 April 1791. 3. Forward to G. Dillon, Grand Orient Freemasonry Unmasked[London: Britons Publishing Company —– now, Chulmleigh: Augustine, 1965], p. 16. 6. H. Belloc, Essays of a Catholic [London, 1931], p. 84. When he wrote Quas Primas, Pope Pius XI had no illusions concerning the state of what had once been Christendom. He anticipated Christopher Dawson’s analysis in the opening paragraph of the encyclical, noting that the manifold evils of the world are due to the exclusion of Jesus Christ and His holy law from the private lives of individuals and from the political life of almost every state. It was the insistence of the Pope upon the social reign of Christ the King —– on the fact that states, as well as individuals, must submit themselves to His rule —– which caused such embarrassment to the bishops of the world [and nowhere more so than in the United States], which has resulted, as Hamish Fraser expressed it, in Quas Primas becoming the greatest non-event in the history of the Church. We are all familiar with the saying that “Everyone has the right to his own opinion,”. It is not unusual to hear a Catholic state that while he disagrees with the beliefs of a member of another religion, he would give his life to defend that person’s right to hold these beliefs. I would be surprised if most Catholics today did not agree with these sentiments, but they are both untrue and reflect the classic Liberal position on liberty of conscience, which has been condemned frequently and forcefully by the Popes. The essence of Liberalism is the view that the individual human being has the right to decide for himself the norms by which he will regulate his life; that he has the right to be his own arbiter as to what is right and what is wrong; and that he is under no obligation to submit himself to any external authority. In the Liberal sense, “liberty of conscience” is the right of an individual to think and believe whatsoever he wants, even in religion and morality. He has the right to choose any religion, or to have no religion; and he has the right to express his views publicly and to persuade others to adopt them, using word of mouth, the public press, or any other means. A dramatic and depressing instance of this Liberal thesis being translated into practice is the campaign for so-called “Gay Rights” in the United States and in Great Britain. Here with a vengeance are so-called “liberties,” which modern society takes for granted that every man possesses as a right. In the United States you are witnessing the scarcely credible spectacle of Catholic bishops taking it for granted that homosexuals have a right to indulge in and to propagandize in favor of their unnatural vice, and even, in some cases, helping them actively in their campaign. In Connecticut in 1991 a so-called “Gay Rights Bill” was passed, primarily due to the support of the Catholic Bishops in that state. The bill even allows homosexuals to adopt or to become foster parents of young children. Dom Prosper Gueranger wrote, at a time when such an act on the part of Catholic bishops would have been unthinkable, that when the shepherd becomes a wolf, the flock has a right to defend itself. There cannot be the least doubt that the faithful in Connecticut need to defend themselves against wolves masquerading under the guise of Catholic bishops. Dozens of books have been written examining the contemporary crisis within the Church from an orthodox Catholic standpoint. Among the two or three that should definitely be owned by every Catholic who loves his faith is The Devastated Vineyard by Dietrich von Hildebrand. In this book the author lamented the terrible decline of humanity, which is nearing the point of actual dehumanization. He stated that it is the superhuman task of the holy Church to save humanity, or at least her own children, from this downfall. I was interested to note that this great book was written in 1973, and that since that date 25 million unborn children have become the victims of legalized murder in the United States alone, and this slaughter is continuing at the rate of 4,300 a day. Was not Professor von Hildebrand right to refer to what he termed “this apocalyptic decline of humanity,” which is nearing the point of actual dehumanization? What other word but “dehumanized” will do for a society which extends its protection to sexual perverts and withdraws it from unborn children so that they can be massacred by the million? Christ the King has indeed been dethroned, and the evil fruits of Liberalism can be seen everywhere around us. Professor von Hildebrand warned that the Church can only help mankind to draw back from the precipice upon which it is poised “if the vineyard of the Lord blossoms anew. And therefore we must storm Heaven with the prayer that the spirit of St. Pius X might once again fill the hierarchy, that the great words anathema sit might once again ring out against all heretics, and especially against all the members of the ‘fifth column’ within the Church.”  We could do no better than begin by praying that they will ring out in Connecticut.